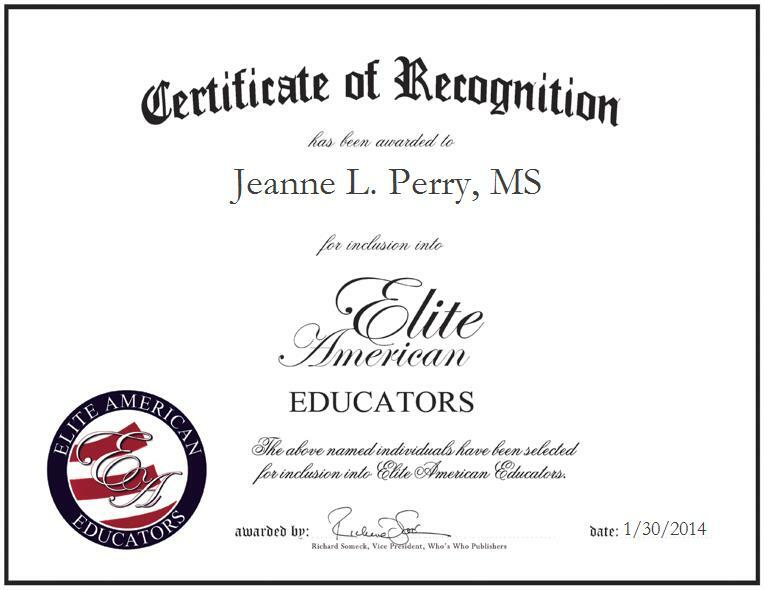 Foster, OR, January 30, 2014, Jeanne Leslie Perry, Special Education Teacher at Foster Elementary School for the Sweet Home School District, has been recognized by Elite American Educators for dedication, achievements and leadership in special education.After gaining experience working with physically impaired adults, Ms. Perry made the decision to get involved in special education. She has been working in the education field for 22 years and has spent the last 19 at the Sweet Home School District. In her role, she is responsible for teaching children with autism, developmental delays and learning disabilities in a resource room. Ms. Perry attributes all the success she experienced throughout her career to her hard work. Looking toward the future, she would like to continue working with special needs children on a personal level.Ms. Perry earned a master’s degree in special education and a Bachelor of Arts in education at Western Oregon University. She is a former member of the Council for Exceptional Children.